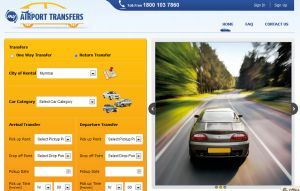 One of India's first group buying travel & leisure platform TravelMartIndia has launched MyAirporttransfers.in, a chauffeur driven car rental service which will provide pick & drop facility for air travelers as well as those looking at pick up services to and from railway stations and hotels. Currently the service is available in cities including Delhi, Mumbai, Bangalore, Kolkata, Chennai and Hyderabad. It will compete with various radio cab service providers who cater to travelers in large cities such as Meru Cabs among others. Travelmartindia which is part of Gursahani group was among the early players in the business with a travel booking services portal but has fallen behind among other faster growing online travel agencies in India. The group also has exposure in businesses such as technology, healthcare and real estate management. "One of the biggest concerns of the travellers has been the non availability of quick & easy transport facility from places like airports, railway stations and hotels. To address this concern we have launched MyAirportTransfers.in," said Dharmendra Gursahani, founder and MD of Myairporttransfers.in. Early this year TravelMartIndia launched vamoose.in, offering discounts for the leisure vacations category, packages such as weekend getaways to hill-stations, national and international vacations, adventure packages as well as wellness packages. Vamoose Vacations Pvt Ltd has been established as a separate company and not as a subsidiary or affiliate business of TravelMartIndia, but is utilising TravelMart's existing business relationships to gain a leg up.